Product Testing UK claims to offer you the chance to get free products by testing them and sharing your opinion about them. 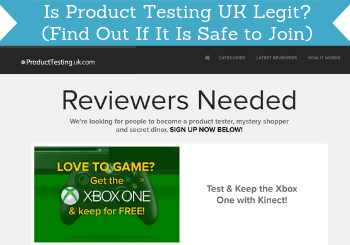 But is Product Testing UK legit and safe, or is it a scam to stay away from? I have taken a close look at the platform and have found both pros and cons. In this Product Testing UK review I will share all the details, so you can easily see if it is a platform for you or not. If you have any experiences with the platform yourself, you are also very welcome to share your experiences in a comment below the article. What is Product Testing UK and what does the site offer? Product Testing UK offers you the chance to test free products if you are willing to test them and then share your opinions about them. In addition to this, you can also become a mystery shopper or secret diner through the platform. It definitely has some potential from what I have been able to find out and test. But it is, in my opinion, definitely also not a site for everyone. You need to know exactly what you are getting into and how it works to see if it really is for you or not. Simply explained, after becoming a member, you can browse the different categories Product Testing UK has. The categories include both many free product testing categories, mystery shopper options, and secret diners options. The categories you can choose products from on Product Testing UK. You choose the category you want to sign up for testing products in. Or if you want to use the secret diners or mystery shopper option, you choose this category. Each category has quite a lot of options. Below you can see a few examples of options that were there for me when I checked out the “home” category. A few examples from the “Home” category. There are many more than this in each category. And the products and offers change all the time, so the exact offers from the image above might not be there if you sign up. How it then works is that you browse through the categories. When you find an option you want to sign up for, you just click and read the conditions. To register for a chance to get the product, you have to go through a questionnaire with different promotional offers. According to Product Testing UK itself, the reason for this is that they can only run their service because of advertising partners. Therefore, you get presented with these offers. The reason Product Testing UK according to itself has ads when you sign up. I do not as such have a problem with offers and ads on sites, as I am aware that we all have to make a living and make our businesses run. I also use ads here on PaidFromSurveys.com at times, as I need to pay for maintaining a site like this. I, however, think there are too many offers when you are registering for a chance to test a product on Product testing UK. You cannot just skip the offers. You have to either say yes or no to for example sign up or get more information. The offers are all, from what I can tell, from legit companies. 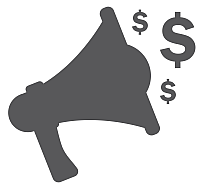 I, for example, saw an offer for the survey site Global Test Market, which I know is a legit site as I have been paid by it many times myself. There are also offers from for example broadband companies, insurance companies, and more. There are maybe somewhere between 15-20 offers you have to say yes or no to, so it takes a little patience. Especially if you want to sign up for the chance to test more than one product. Every time you sign up for the chance to test a product, you have to go through a list of offers. This does not mean it cannot be worth it, as some of the products you can get are really cool. But it is just something you have to be aware of. You also have to make sure to read the exact conditions before you take any of the offers you get in the registration process. As Product Testing UK itself mentions, the offers are from advertising partners. So if you, for example, say that you could be interested in knowing more about insurances, you are in most cases also saying yes to receiving a phone call or email with offers. So make sure you read the conditions, so you know what you are saying yes or no to. There are a few requirements before you will get anything out of being a member of Product testing UK. The exact rewards you get depends on what you sign up for. In most cases, the reward is the product you are testing. Sometimes this can be a quite expensive product like an Xbox iPad, phone, vacuum cleaner, etc. For the mystery shopper options, you will usually get gift cards or get a certain amount of money you can shop for when testing. This is usually between £100-£200. The secret diners option will usually allow you to eat for free in the restaurant you are testing. In most cases, I have seen, this has a value of around £50. So there are some pretty good rewards you can get on Product Testing UK. If you prefer getting paid in cash, this is, however, not possible. Then you can instead, for example, check out survey sites that pay through PayPal, where you can earn cash by sharing your opinion. So you just need to be aware of these conditions. Once you get the product and test it, you also have to share your opinion about it. How often will you get to test a product? So far Product testing UK sounds like a great way to get some new products, right? But before deciding if it is for you, you need to know how often you even have the chance to get to test a product. Because you register to test a product, does not mean you will get chosen to actually get it and test it. From what I can see, one person is selected randomly to get a product and test it every working day. This will be announced on the website itself and on Product Testing UK’s Facebook page. Each day the selected person will be announced on the website and Facebook. You can register for as many products as you want to. Just remember that for every registration, you have to go through the list with offers. Even though you can register for as many products as you want to, it is easy to figure out that the chance of getting selected to test a product is not high. I have not been able to find a number of how many members the platform has or how high the chances are of getting selected. But from common sense, it is possible to figure out it will not be often. As the name suggests, Product Testing UK is a platform just for people living in the UK. The same company does, however, have similar sites for the USA and Australia. For any online service you join, it is important to know if you can get support or not. On Product Testing UK’s website, it is not easy to find the support option, but it is there. You have to go to the FAQ section. At the bottom of that page, you can see a small box saying “I cannot find the answer to my question”. You have to tick this box to be able to submit a support ticket. If you tick this box, you get access to a contact form. Another option is to go to their Facebook page. Here you can send a message, and you can also find a phone number here if you want to call them. I could see both positive and negative aspects of Product Testing UK when I tested it. So I decided to also take a look at what other people say about it. If you look at other Product Testing UK reviews online, you will see that there are quite a few negative reviews. There are a mainly two things I have seen complaints about. One thing is that quite a few people are unhappy that they have never been selected to test a product and get it for free. I understand this is frustrating. But that is also why I want to make it clear in this review that the chances of getting selected are not huge. So if you sign up, you need to be aware of this. I also saw quite a few complaints from people that opted out of being contacted in the offers during the product testing registration but still say they got contacted. Here is an example of this from Trustpilot. Example of a negative Product Testing UK review. This is of course not great if this is actually happening. I have not experienced it myself, but it seems there are quite a few people that have. One thing is sure – when you go through the offers, you have to read the conditions carefully and be aware of what you are saying yes and no to. Other people are, however, very happy about Product Testing UK and say people that call it a scam are just upset because they have not been selected to get a product. And I have also seen several reviews from people that have actually received a product and that are obviously happy about this. Here is such an example. There are also people that have very good experiences with the platform. So there are both positive and negative experiences with Product Testing UK. So let’s now sum it all up, so you can find out if this means you should register or not. From what I can see, Product Testing UK is legit in the sense that some people do get some great free products to test from them. But it is not only an amazing site. It also has its downfalls. So let’s sum up the pros and cons so you can get a better overview before deciding to join or not. If Product Testing UK is a good option for you mainly depends on one thing, in my opinion – That is your expectations. If you register, you need to be aware that it takes patience and there is no guarantee you will get to get a free product. In that sense, it is kind of like a lottery. You can win a really great prize, but the chances of getting it are not big. If you can live with this, then it can be a free chance to get some great products. As mentioned several times, you just have to be aware exactly what you say yes and no to when you get offers in the registration process. If you like to share your opinion and want to be sure to get rewards, I would instead suggest you to check out the best survey sites in the UK instead. They give daily earning opportunities, and you are sure to get a chance to earn once you are a member. So this can be a great alternative if you do not think Product Testing UK sounds like it is for you. How to join Product Testing UK? If you want to join Product Testing UK, it is quite easy. You just go to Product Testing UK’s website, choose a product you would like to register for, go through the offer list, and then you are registered for a chance to get that product and for the platform. In the name of full transparency, I want to make it clear that if you click and join through the link above, I will get a small compensation since you are coming through a link on my website. This can help pay for the cost of running this website, and if you have found this review helpful, I would appreciate the support. If you have any comments, questions, or have any experiences with Product Testing UK yourself, I would love to hear from you in a comment below. Product Testing UK can be a way to get some really great products for free by testing them and giving feedback about them. You do however have to be aware that it is a bit like a lottery, and you have to be lucky to actually get a product.